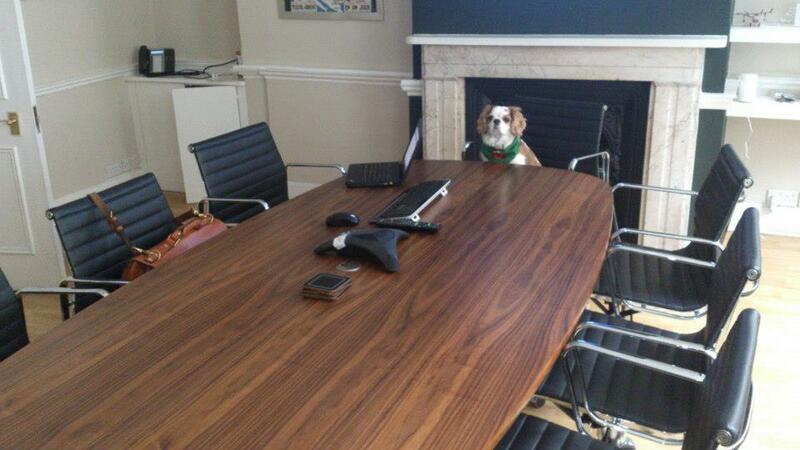 Timothy is no stranger to a boardroom table. He likes to sit at the head of the table so that he can chair the meeting. Often he’ll nod off part-way through the meeting – it depends on the subject. 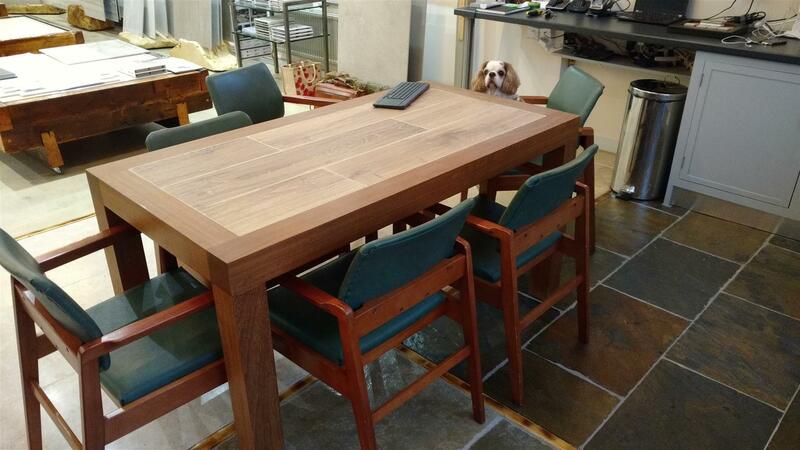 This is the meeting table at Hard Rock Flooring in Buckinghamshire. He’s not in his bag, but his bag is visible in the background.